Our vinegar loving Catalan! He is our man! 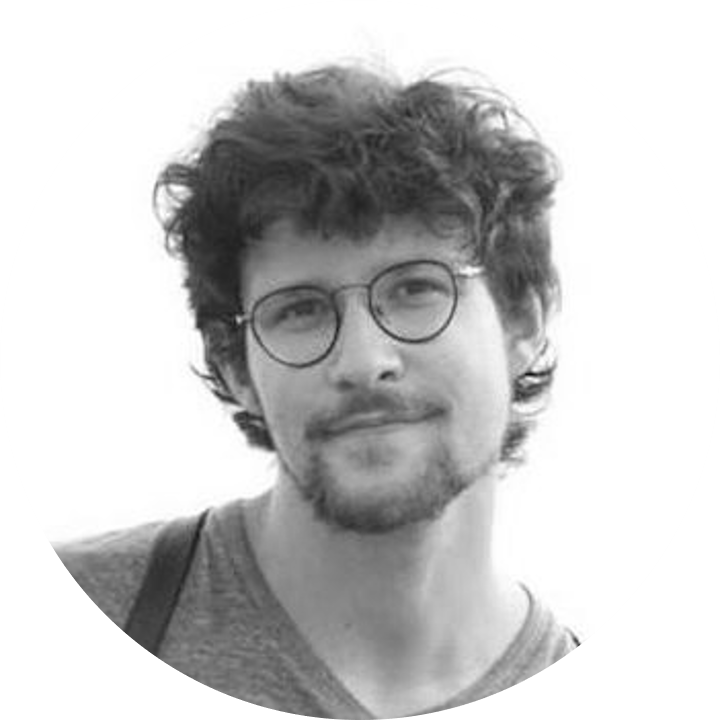 He develops in angular, threejs and all the front-end + back-end stuff with a blink of an eye. On top of that he's very keen on moving water around proteins...now you think Evian, Volvic or a nice spring. That's nearly it! Have a look at his papers! Our viking. Keen on vinegar and garlic, for whatever reason. Gabriella loves searching for funny bugs. She loves that even more than vinegar! Gabriella is also your contact for 3decision reports, our tailor made expert service for small to mid sized pharma. Nearly managed to live in Germany...but just nearly. And now he stranded in Paris, weird. Michael knows Pipeline Pilot like his pocket, plays violent computer games, but also with d3js and angular during week-ends (don't worry he also has real hobbies). Michael loves graphs, nodes and edges and such weird things. Our very environmentally friendly, beer hating German guy! He's our fpocket expert (obviously) and the one that had the brilliant idea to create 3decision. He spends most of his time fishing for yet another way to improve it (to make it harder better faster stronger) but also finds time to roughhouse his coworkers (all too often...) and play on his guitars. Probably the nicest guy you'll ever meet, despite the fact that he's a beer lover. And he's French. A real French guy in our team! As soon as Xavier escapes from his duties he's on 3decision. His background in pharmaceutical science and molecular modeling + knowledge of Pipeline Pilot are just amazing! Da youngsta! Nicolas nearly managed to live in Japan, but like Michael he also stranded in Paris...what's the point guys? Nicolas is doing things....a lot of things...researchy thingy things. Those things that take a lot of time and you never know if something comes out of it, aka a PhD. The fpocket team wouldn't be complete without Vincent, aka leguilv. Non-indented and non-modular code is a typical thing that "Vince" is allergic to. He helps us out on performance improvements, innovative data structures and challenges us on our working habits! The architect! Alex keeps things nice and smooth with the database and usually manage to sharpen our data schema without breaking anything important. Alex also has a background in yeast genome evolution but you can rest assured, his interest in wine and cheese is obviously purely professional. The kiddo! Sandra is a creative wall-climber who loves to cook, especially when the recipe contains lots of rum (she makes delicious crêpes). She is a fearless developer who is always ready to give us a hand. Pipeline pilot, angular... you name it! Raphaël, the Matched Molecular Pair geek, loves rum, crazy-hot chili peppers and good old funky music. He works on whatever’s needed, usually heavy stuff like biological assemblies. One weird thing, he is always touching his beard as soon as he needs to think, we start to wonder if this is where his skills come from…??? Elodie is our beer-loving and Bobun-obsessed web developer! She loves to bring us breakfast and spend time in the Parisian morning commute. She’s our AngularJS and NodeJS expert who helps us make the 3decision interface sooooo gorgeous! Maxime, the trumpet-playing and whisky-drinking chemist, is our last recruit. After a long stay in the UK, the jedi has now returned, and learned how to code! This will come in handy when Maxime joins our UX/UI work force. Working on the 3decision team should go great since his experience as a rugby referee has made him used to be comfortable in uncomfortable situations. Want more information on 3decision?